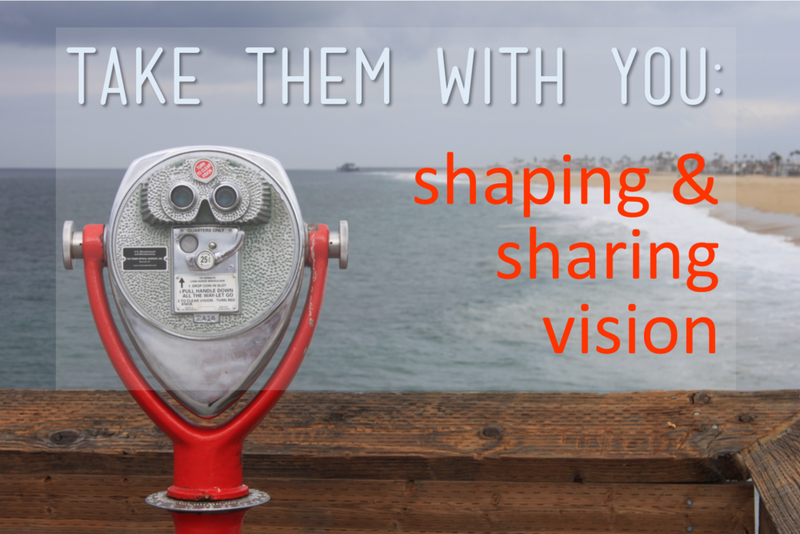 "Take them with you: shaping & sharing vision"
the Leadership Development conference is for those in leadership positions in churches and mission INITIATIVES. An essential part of leadership is the ability to see and create a brighter and better future. Many of us in Christian leadership within the rural context receive what we discern to be a compelling vision from God; however, we struggle to communicate this to others within our church/mission initiative and perhaps fail to enlist their support and engagement in this shared view of the future. At our 2019 Leadership Development Conference, we will be looking at how we might each further develop our forward-looking capacity so that it not only generates momentum and movement but also draws others to join us in the venture entrusted to us by God. The cost of the conference is subsided to make it as affordable as possible. We are offering an early bird conference discount of 25% for a limited time, so we encourage you to book as soon as you can. Our time will begin at 4pm on the 2nd April and finish after lunch on the 4th, giving time for your trip home. Andy & Carol Kingston-Smith (see details below) are our keynote speakers at the Rural Ministries Leadership Development Conference, and in their sessions will be reflecting on four elements of leadership which are essential in cultivating vision. Using the imagery of agriculture and nature, and linking these with thinking around missional leadership, Andy & Carol will help those of us who are ministering within the rural context to further develop our forward-looking capacity so that it not only generates momentum and movement but also draws others to join us in the venture entrusted to us by God. This year we are delighted that Andy & Carol Kingston-Smith will be joining our own Simon Mattholie as the leaders. Andy & Carol both grew up on the mission field; Carol in Brazil and Andy in Chile. As a family they served in Bolivia with Latin Link for a few years and on returning to the UK, joined the faculty of Redcliffe College in Gloucester, lecturing and founding an MA programme on justice issues in contemporary mission. In partnership with International Justice Mission, they developed a teaching manual on biblical justice which has been piloted in India. They co-founded the JusTice initiative and have contributed to and co-edited the book Carnival Kingdom: Biblical justice for global communities as well as contributing to a new Justice Bible. Prior to their involvement in mission-related ministry, Andy worked as a solicitor, and Carol trained as a community health visitor working with deprived families in inner-city Manchester. In 2015, Andy joined the staff of ForMission College as Postgraduate Programme Director. Carol also teaches at ForMission college on the undergraduate and postgraduate programmes and is a freelance speaker, writer and mentor. They live near Tewkesbury with their four young adult children (aged 23-16) in an intergenerational household and are looking to develop missional expressions in their local rural community. Whilst we continue to financially support these events as part of our investment in you, we ask for a contribution towards costs of £100 per person with an Early Bird rate of £75 if booked before the 28th February 2019. Should this causes you or your church any financial difficulty, then please contact us directly as we would hate you to miss out for the sake of a few pounds. All bookings must be made through Eventbrite booking system - just click on the button below. Payment can be by card or cheque - just click on the option when prompted. The Hayes, in Swanwick, Derbyshire, has successfully been the market leader as a Christian Conference Centre since 1911, providing residential and day conference facilities for up to 400 delegates. Set in beautiful Derbyshire countryside with easy road, rail and air links, the Centre is well equipped with modern quality facilities.